Cardiff City is, in 2013, arguably the biggest and most successful football club in Wales. It was the first to achieve \'Championship\' status within the new League structure, boasts a squad peppered with highly rated international players, and is now beginning to live up to its time-honoured \'sleeping giant\' tag. But this has not always been the case. After an initial blaze of glory, during which they became (and still remain) the only non-English club ever to win the coveted FA Cup and came within a whisker of winning the old First Division title, Cardiff City began a slow, painful descent down the footballing hierarchy into relative obscurity. Sometimes, however, miracles do happen. This is the inspirational story of the birth, death, and subsequent rebirth of a football club. 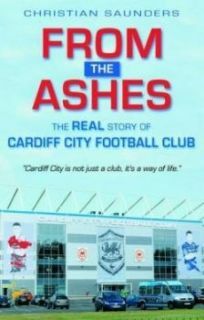 This is the REAL story of Cardiff City. Unauthorised and unofficial.